Code.org is a great place to start when you are a beginning coder. The website allows educators to create classes. If you have younger students, Code.org provides an option for logging on with pictures. There are activities that do and do not require computers. The website also works with iPads. According to the group feedback, Hour of Code is slightly more complicated. The group preferred to use Hour of Code with middle school and high school students. However, I noticed that the website does have lessons for pre-kindergarten and elementary students too. Scratch uses a drag-and-drop language and has a community to support learning. It can only be done on a computer. This means that iPads are not an option. Scratch allows students to develop their own games and stories. Scratch Jr. is available as an app for children ages 5-7. I am always looking for new activities to implement. The group recommended using Pinterest to find ideas on coding. It is an obvious solution that I overlooked. When I searched Pinterest, I quickly found these links. I will take more time to search in the future. The participants explained how they were implementing coding clubs before and after school. Some of them had activities organized for their clubs, while others preferred a freestyle environment. One thing that was clear, was that there was consensus that a librarian should not be worried about starting a club because they do not know how to code. Students are comfortable exploring on their own. One concern that was discussed was students that attend clubs just to play on computers. The participants with clubs noted that they monitor student activities to verify that students are learning to code rather than playing the games on the coding websites. There is a Google Tone extension that can be used to quickly set up laptops for club activities. When computers with the extension are on and connected to the Internet, a teacher’s computer can play a tone for nearby student computers. The tone will send a URL for a webpage. Using this extension will keep you from manually entering the same website on multiple computers when students need to be on the same webpage. Overall, I had a great time at #EdCampLibrary. The organizers and participants did an excellent job with creating a friendly and open environment. I hope that I will be able to attend again in the future. The tips shared were invaluable. Please check out the professional development below. Description: If engagement is the fuel necessary for learning to take place, how can teachers use technology to harness the power of higher-level thinking and creativity? Many schools are turning to the powerful resources that Google offers schools across the globe. Join Matt Bergman as he discusses 10 ways in which you can use Google Apps, Chrome Extensions, and Add-Ons to increase student engagement. Description: If you have never used Google Forms, you are missing out on a tool that can save you time, engage your students, and inform your instruction. If you have used Google Forms, you know how useful they can be for collecting and analyzing data, giving quizzes, doing formative assessments, conducting surveys, and so much more! Join Tia Simmons for an informative overview of Google Forms. In addition to pointing out great features and where to find them, Tia will provide a brief explanation of Google Forms, as well as tips, advice, and suggestions for using them in the classroom. Whether you are brand new to Google Forms or have used them before, come discover how to get the most out of Forms! Description: Google Docs is just one application within Google Drive, the user friendly suite of online collaborative tools that have tremendous potential for use in the classroom. While often used as a word processor to create documents such as announcements, letters, reports, and handouts, Google Docs allow you to do so much more than that! Join Jenna Linskens as she shares a variety of interactive ways Google Docs can be used to engage students in advanced, collaborative learning opportunities. Come discover innovative ways to use Google Docs as effective tools for learning! Description: Would you like to design student-driven learning experiences that require students to construct knowledge as they create – an idea supported by the Common Core State Standards? This could be easier than you think. The Google Docs Presentation tool can be a great starting point to begin breaking the barriers of traditional tech integration and help you design student-driven learning experiences. Join Susan Oxnevad for an in-depth look at the features available in this collaborative and user friendly tool and learn to use Google Docs in innovative ways that go well beyond the typical student presentation. Templates to get you started also will be provided. Description: In this edWebinar, Steve will present the major components for rewiring your own school’s culture as well as experiences from the field that school leaders have shared regarding successes and challenges of shaping their cultures. Description: Today’s technology makes it easier than ever to meet each student’s needs through personalized learning. By thinking differently about teaching and learning, you can make personalized learning a reality for each of your students. Join Dr. Jayme Linton as she explains what personalized learning is, why you should incorporate it, and how to design and facilitate personalized learning in your classroom. You will walk away with strategies you can implement right away to personalize instruction for your students. Description: Pairing science and nature-themed books with hands-on science and outdoor activities can provide educators with fun and easy ways to engage curious learners in school-day enrichment activities, in afterschool programs, and in family/school programs. This webinar will introduce librarians to freely available lessons as well as multimedia resources related to birds and nature that are designed to help build learners’ Science, Technology, Engineering, Art, and Math (STEAM) skills and content knowledge. From the Cornell Lab’s Macaulay Library of Natural Sounds (the world’s premier scientific archive of natural history audio, video, and photographs) to K-8 book guides and free lesson plans, to free Apps and online interactives—there will be something for all levels, including those unfamiliar with science and outdoor learning. Title: Intellectual Freedom is Not Just About Censorship! 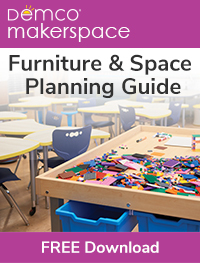 Description: What happens when a resource in a K-12 library is challenged? We don’t always think of Internet filtering as censorship, but it can be. How do emerging student privacy laws impact intellectual freedom? How can UNESCO’s Five Laws of Media and Information Literacy support responsible use? 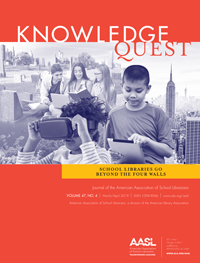 How can professional organizations such as the American Library Association (ALA) and the American Association of School Librarians support educators? How can intellectual freedom promote library and librarian advocacy? 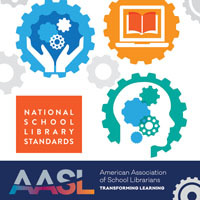 In this edWebinar, Michelle Luhtala, Library Department Chair at New Canaan (CT) High School, and Kristin Pekoll, Assistant Director at the ALA’s Office for Intellectual Freedom, will answer these questions and many more. All librarians are invited to attend this live, interactive session. Description: As hubs of lifelong learning, public libraries are always seeking new strategies to cultivate 21st century skills in their community members. The deeper we move into this century, the more critical it becomes for people to hone skills like communication, collaboration, critical thinking, global awareness and creativity. Your patrons can strengthen these skill sets while also having fun in a social setting — through playing tabletop games at the library. Learn about the wide array of games available and the specific skill sets each one promotes. Hear how public librarians are using games and get new ideas for programming and game-related projects that you can do at your library. Your younger patrons will be ahead of the 21st century game in no time. Description: What if I told you that teachers can post questions in a platform that allows students to answer using recorded video messages instead of typed or written responses? The possibilities are endless! Join educational technology adopter Shannon Holden as he shows teachers how to assess students with Recap – a free platform that records student answers to teacher questions through recorded video messages. Recap is great for educators looking for innovative ways to use iPads and Chromebooks. Description: A major challenge to Common Core implementation is the shortage of new and proficient standard-aligned material. As districts face the necessity of purchasing new instructional materials aligned to the CCSS, open educational resources (OER) has become crucial. OER has become a central model for the development and dissemination of free online content. The digital libraries of OER has increased significantly, providing schools and teachers with standards-based materials for developing CCSS curriculum. A variety of Common Core OER websites will be demonstrated to attendees and how they can be applied in Google Classroom. They will learn how to search, filter, and assign exercises and formative assessments to students in Google Classroom.